Whether you want to brighten up your office desk, or fill your living room with a mini forest of flora, with these five creative ideas for indoor pots and plants you will have no shortage of tips and ideas! Glass is a powerful statement for your indoor garden. Whether used as the pot itself, enabling you to see the soil and roots, or placed on top of the plant to act as a make-shift greenhouse, glass can work wonders. The benefit of glass is that it draws the eye to the most important feature of your pots: the plants themselves! Using different shapes of glass can create mind-boggling effects, including the floating plant, and the suspended ball of soil effect. Fish bowls are often a good choice since they are fairly cheap and widely available, although with a bit of looking around you are sure to find a clear holder perfect to show off your plants. 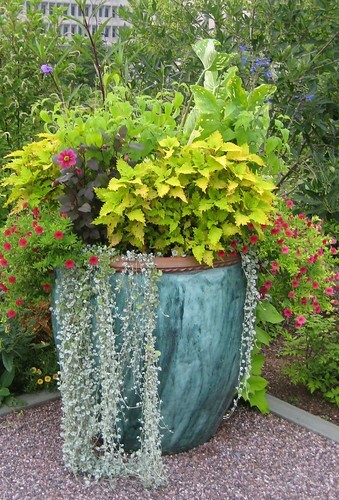 Why not accentuate the look of your plants with a bit of natural material? Using hollowed out logs, or even pots with a wood covering can really make your plants stand out and give them an authentic and natural look. If you have some spare wood lying around then give this tip a go! An important consideration with this technique is watering. If water comes pouring out of the wooden pot you have created, then it probably won’t be suitable for use indoors. Try lining the inside of your pot with a clear plastic sheet to keep the water in! There is no point in adding more clutter to an already crammed area, so if your space is filled to capacity then perhaps the minimalist approach is for you. Potting a small cactus in a white pot may sound dull, but it can really add something to a cluttered or otherwise restricted space. When it comes to plants sometimes less really is more, and the minimalist potting solution can have a powerful effect in drawing the eye away from the clutter, and onto your humble potted plant. Overgrown plants are a great look. There is something to be said for a plant pouring over the edges of its pot and spilling onto the floor or table on which it sits. 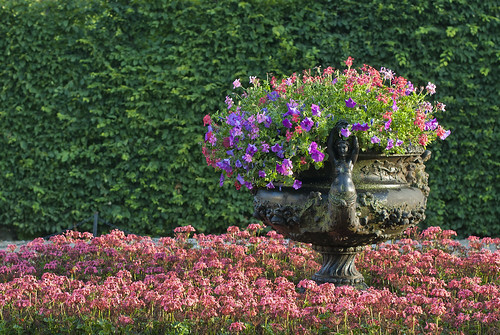 This look can be made great with some eye-catching arrangement, as well as some tender care and pruning to achieve just the right shape. If you are a fan of greenery then this approach is sure to fill your space with the vibrant colour only brought on by healthy plants. If you don’t want to spend the money on a shiny new plant pot then why not use things from around your home? Old milk cartons with the tops cut off make great plant pots, as do old watering cans. This not only helps the environment by allowing you to give potential landfill material a second life but will provide an interesting conversation piece when next your friends or colleagues come to visit. So whether you want an expensive glass-enriched planting solution that will leave your flora gleaming, or you are an eco-warrior saving the planet by milk carton by milk carton, you will be able to find a potting solution perfect for you. Come visit Thelovelygarden.co.uk for some great ideas around garden design. Louisa Bell has over 20 years experience of creating and designing gardens in Sussex.